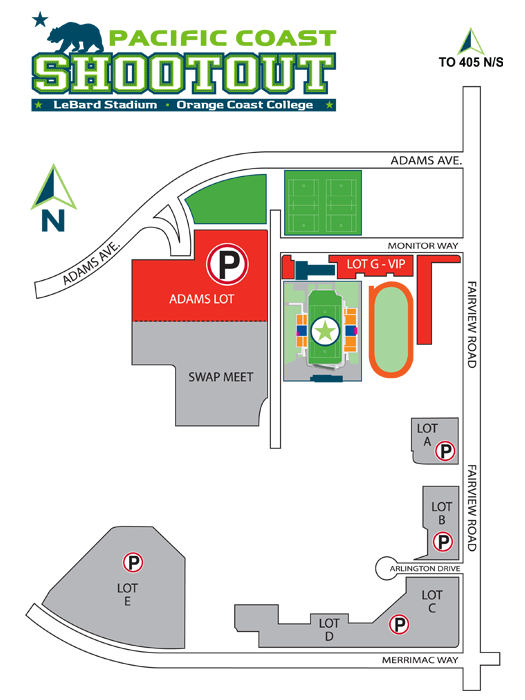 Event Parking is complimentary in the Adams Street lot adjacent to the Stadium. This lot is accessible from Adams Avenue on the north side of the Stadium. 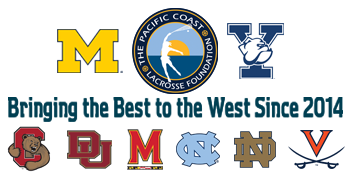 Download a map of stadium & parking. 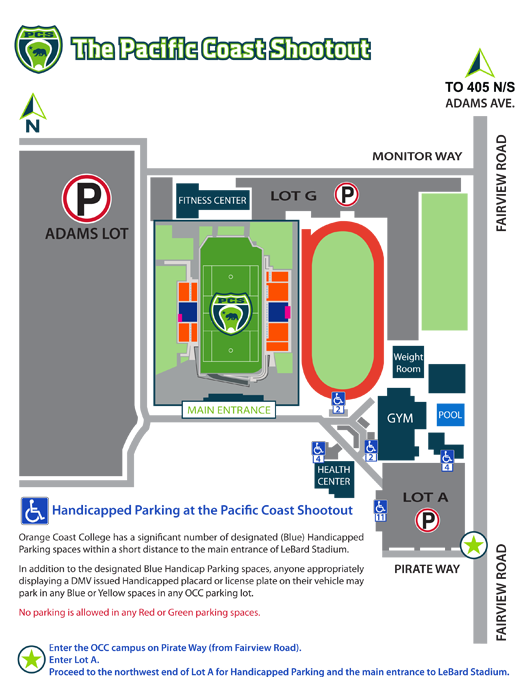 Orange Coast College has a significant number of designated (Blue) Handicapped Parking spaces within a short distance to the main entrance of LeBard Stadium. In addition to the designated Blue Handicap Parking spaces, anyone appropriately displaying a DMV issued Handicapped placard or license plate on their vehicle may park in any Blue or Yellow spaces in any OCC parking lot. No parking is allowed in any Red or Green parking spaces.